These Gorilla lug nuts are wheel and vehicle specific. You will appreciate the long lasting quality of the Gorilla Chrome Small Diameter Tuner lug nuts. You can reduce vehicle vibration when properly installing a new set of Gorilla Chrome Small Diameter Tuner lug nuts. 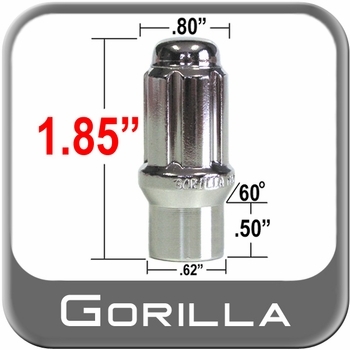 Gorilla Chrome Small Diameter Tuner lug nuts add an appealing look to your vehicle. The item arrived in an orderly fashion and was exactly what had been ordered. I would recommend this and any other gorilla lug nut to friends and family, as well as the website which the product was ordered from, Brandsport auto accessories. Thank you! 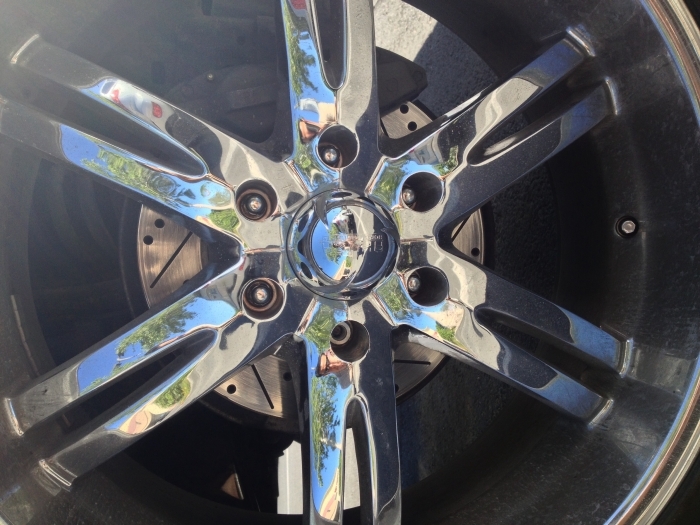 After buying used after market wheels with snow tires mounted for a 2005 Town & Country. I fought to put on the Gorilla lug nuts 12mm x1.30. After 3 years Fighting to put these on and stripping 3 of the studs. I looked into buying new lug nuts. I found these 12mm x 1.50. The extra .20 makes the difference. I no longer struggle to get the lug nut started. I should have bought these a few years ago. Hinesight is a great thing. Brandsport had the best price and shipping was great! The product was shipped the next day and delivered a few days later. The customer service process was excellent. The longer lug nut makes all the difference. The old Gorilla lug nuts are a good 8 yrs old and still look good. There is no rust, no wear or Crome chips on the old lug nuts. I would buy another lug nut style from the Gorilla brand. Was able to install my lug centric, aftermarket rims that required 1/4" aluminum (not the ones with built in studs) spacers to clear the front struts safer. Looked far & wide & even considered replacing all of the front wheel studs with longer ones. I was able to get 10 full turns including after torquing that gave me sufficient lugnut to stud bite integration for a safer, vibration free application. The price was right so make sure you get extra ones in case someone breaks one of your stud, or in my case, two, as most shops dont even use flex extensions when using them air impact wrenches, smh! Thank you brandsport.com. 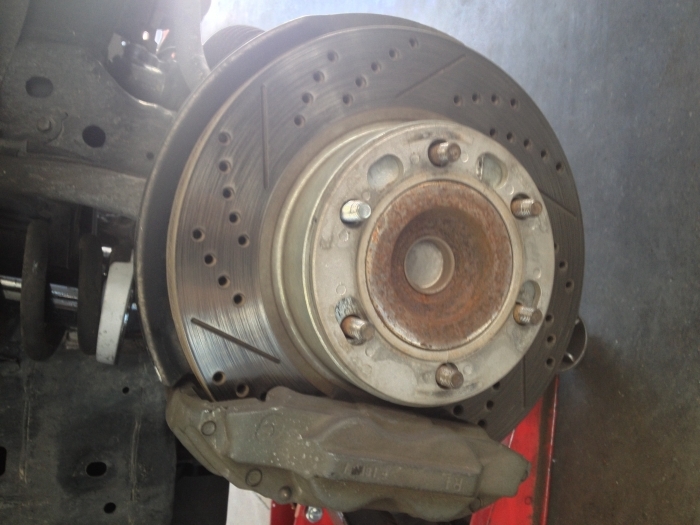 Required seperate spline driver to remove & replace. Thinner wall sockets required. Have to be torqued for proper function so a Torque Wrench is optional (HarborFreight, ahem)! Which all these is not Cons but actually a necessity! Solved my application, cheaper and better term, inexpensive alternative to longer wheel studs! 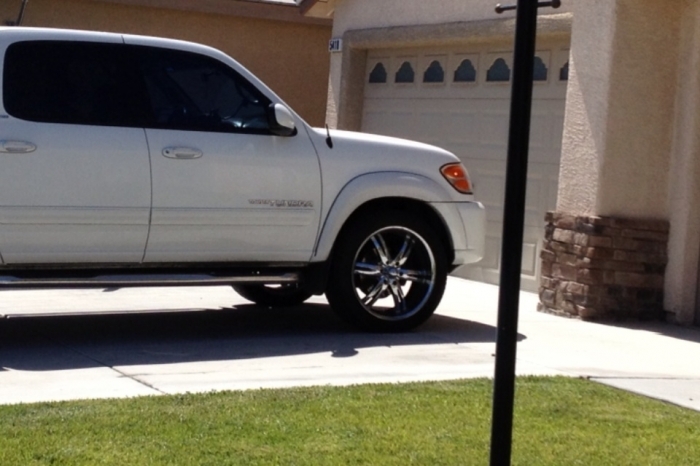 60 degree conical seating matching most aftermarket rims. Required seperate spline driver to remove & replace. Thinner wall sockets required. Have to be torqued for proper function so a Torque Wrench is optional (HarborFreight, ahem)! Which all these is not Cons but actually a necessity!